Here's our electric-vehicle-registrations-soaring post of the day. As of the end of June, Hawaii had 1,551 plug-in vehicle registered. That's an 83% improvement over the total number of plug-in vehicles registered in Hawaii as of June 2012. 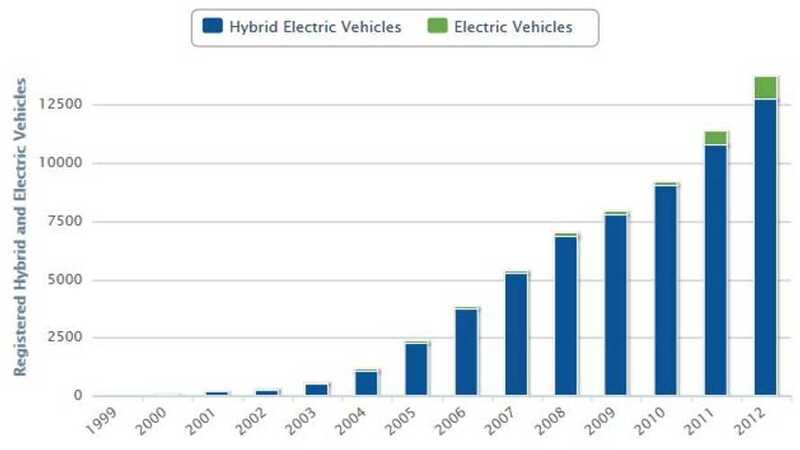 The figures further point out that 15,258 hybrid vehicles registered in the state of Hawaii as of the end of June 2013. What's evident from the chart is growth. Notice the near-doubling in size of the green from 2011 to 2012? The same would hold true if this chart extended to include 2013. 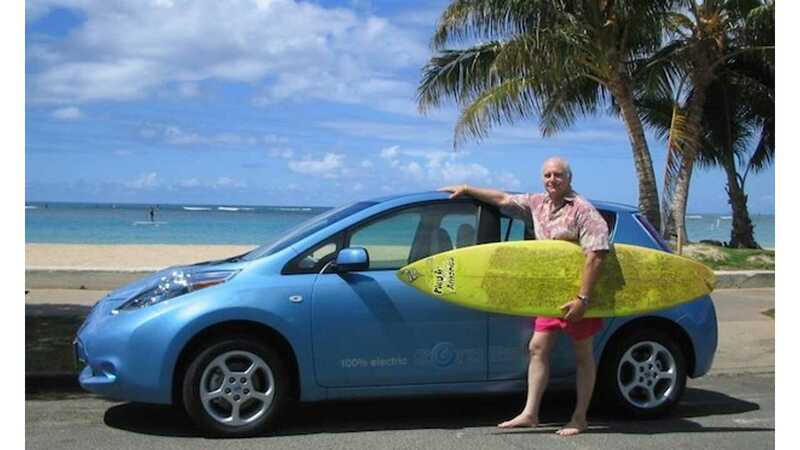 Combined, hybrid and electric vehicle only account for 1.4 percent of Hawaii's total number of registered automobiles, but that's changing daily as plug-ins are becoming increasingly popular on the US' only island state.